Sky Sports News understands Manchester United are not for sale amid reports that the ruler of Saudi Arabia is interested in buying the club. Crown Prince Mohammad bin Salman is one of the richest and most powerful men in the world and is understood to be keen to invest in a top European football club. Saudi Arabia's neighbours are already heavily involved in football, with reigning Premier League champions Manchester City backed by Abu Dhabi-based Sheikh Mansour and Paris Saint-Germain owned by Qatar Sports Investments. 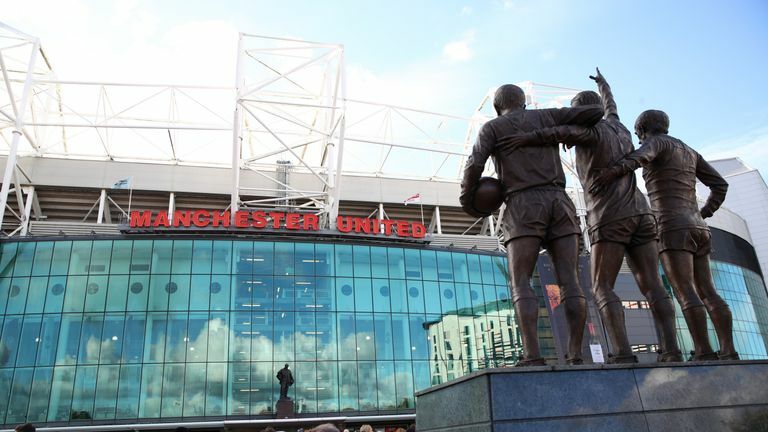 United have been owned by the Glazer family since 2005 and are valued at more than £3bn - they bought United in a £790m deal - although Sky Sports News understands an offer starting at £4bn would have to be on the table for a sale to even be considered. Their most recent set of accounts, issued last month, showed record £590m revenue in the year to June 2018 - their current debt of £487m is the continuing cost of the Glazer family's leveraged buy-out. The club has links with Saudi Arabia already, having signed a deal with the nation's Government 12 months ago to help develop their football infrastructure. United has also been an official partner with Saudi Telecom since 2008 and the club's co-chairman Avram Glazer is due to attend a global investment conference in Riyadh next Tuesday. Saudi Arabia is keen to grow interest and investment in sport and is currently building the biggest sport and entertainment city in Al Qadiya, south west of the capital city Riyadh. Mourinho and Hazard to Real? Investors from the country are also involved in proposals for new FIFA tournament to replace Club World Cup. The first professional boxing event in Saudi Arabia was held in Jeddah last month when Callum Smith stopped George Groves in the seventh round of their World Boxing Super Series final bout.